Iraqi forces said Thursday they had retaken the center of Islamic State group stronghold Hawija and were pushing forward in their assault on one of the last IS enclaves in the country. Troops, police and paramilitaries "liberated the whole of the center of Hawija and are continuing their advance," the operation's commander, Lieutenant General Abdel Amir Yarallah, said. The town is among the final holdouts from the territory seized by the jihadists in 2014 and its recapture would leave only a handful of remote outposts in IS hands. The United Nations said on Tuesday that an estimated 12,500 people had fled the town since the launch of the offensive to retake Hawija and surrounding areas last month. 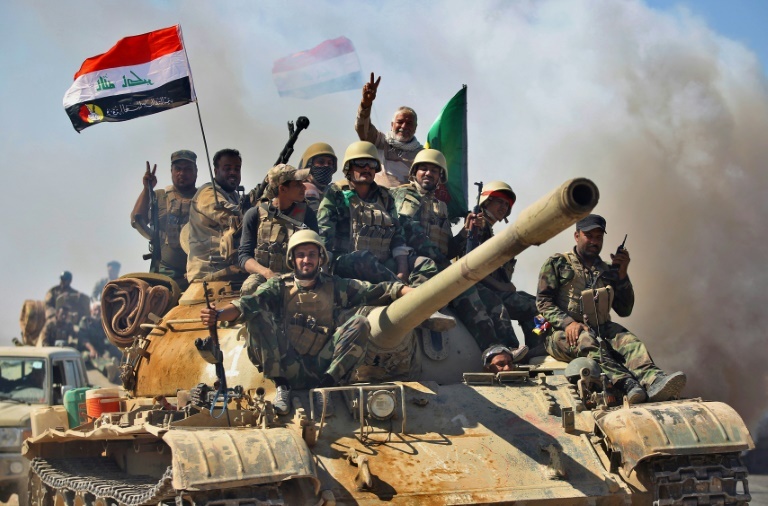 Hawija, 230 kilometers (140 miles) north of Baghdad, is one of just two significant areas of Iraq still held by IS, along with a stretch of the Euphrates Valley near the Syrian border which is also under attack.